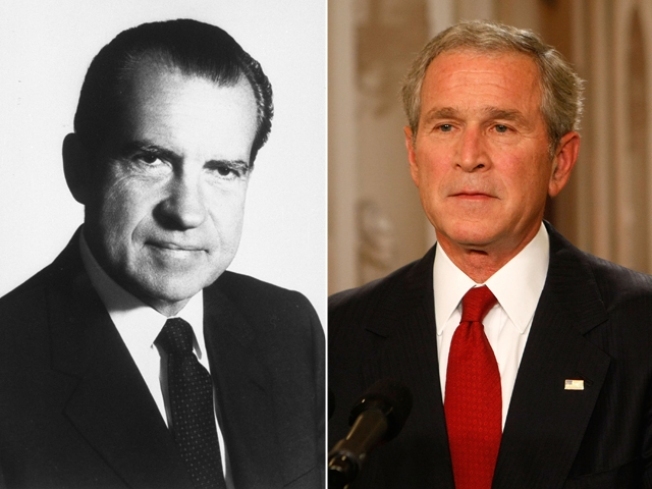 With 71 days left in office, President Bush is less popular than President Nixon was at the time of his resignation, according to data released Monday by CNN and Opinion Research Corporation. The new poll, taken Thursday through Sunday, showed an approval rating of 24 percent and a disapproval rating of 76 percent. CNN released a chart showing presidential "disapproval" ratings in CNN or Gallup polls for each president dating back to Harry Truman. This list shows the percentage of Americans who disapproved of the way each president was handling his job.